Home » CSA Treatment Methods » Is Adaptive Servo-Ventilation Effective for Central Sleep Apnea? Central sleep apnea is one of the types of sleep disorder that results when the brain is unable to send the appropriate signal to the muscles that control breathing. Consequently, the person breathes shallow or pauses to breathe at all for short intervals. It happens mostly during sleep and runs a high life risk. There are quite a few treatment options for central sleep apnea. One of these is the adaptive servo-ventilation (ASV). It has been called a breakthrough and can treat both central sleep apnea as well as obstructive sleep apnea. 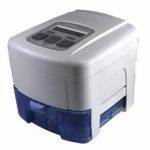 Although different from a CPAP (continuous positive airway pressure) device, it is a positive airway pressure unit which supervises the patient’s breathing pattern in thorough detail. If it detects a shallow breath or a pause it gears up to provide air. It is able to maintain the patient’s pace of breathing at 90 % of his usual rate. Once the problem subsides, the machine backs out but continues to monitor. In fact, when the breathing is quite normal the device helps to keep airway patency. It enables the patient to reduce the strain of breathing by 50 % in normal circumstances. With its subtle design and engineering, it is effective enough to adjust itself to the patient’s need. Before the arrival of ASV, there were mainly four kinds of breathing devices that would help patients of sleep apnea to breathe smoothly. These were PAP (positive airway pressure), CPAP (Continuous Positive Airway Pressure), Bilevel PAP and Bilevel PAP with intermittent mandatory ventilation (IMV). 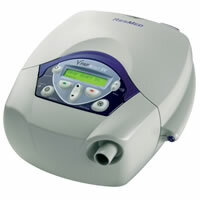 Both PAP and CPAP are simple blowers that would deliver air at a pre-set pressure. In Bilevel PAP, the device on sensing the patient’s problem in breathing drops the delivered pressure to make exhalation easier. Bilevel PAP with intermittent mandatory ventilation (IMV) can additionally sense the pause in breathes and deliver bursts of air at pre-set pressures. In this the patient has to adjust to machine instead the device doing so with the patient. Many patients have complained about difficulties in synchronizing with it. 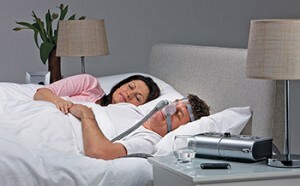 ASV can be used by sufferers of all kinds of sleep apnea. 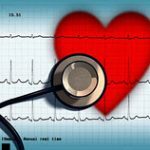 It is effective for patients of central sleep apnea who also has heart failure or atrial fibrillation. The foremost advantage of ASV is that it adjusts itself to the patient’s needs. Surveys have found that in most patients, it effectively brought down sleep fragmentation that ensured undisrupted sleep. Most patients rated ASV higher to CPAP. You should, however consult a doctor about taking sleep titrations, if he recommends you with ASV. This is because there are three things of this device that should be attuned to the patient’s need. These are the minimal pressure, maximal pressure and end-expiratory pressure settings. Overall, it is really a smart machine to keep sleep apnea at check. I hope this article on adaptive servo-ventilation was useful and hope that you will find it effective in overcoming the problems of central sleep apnea.